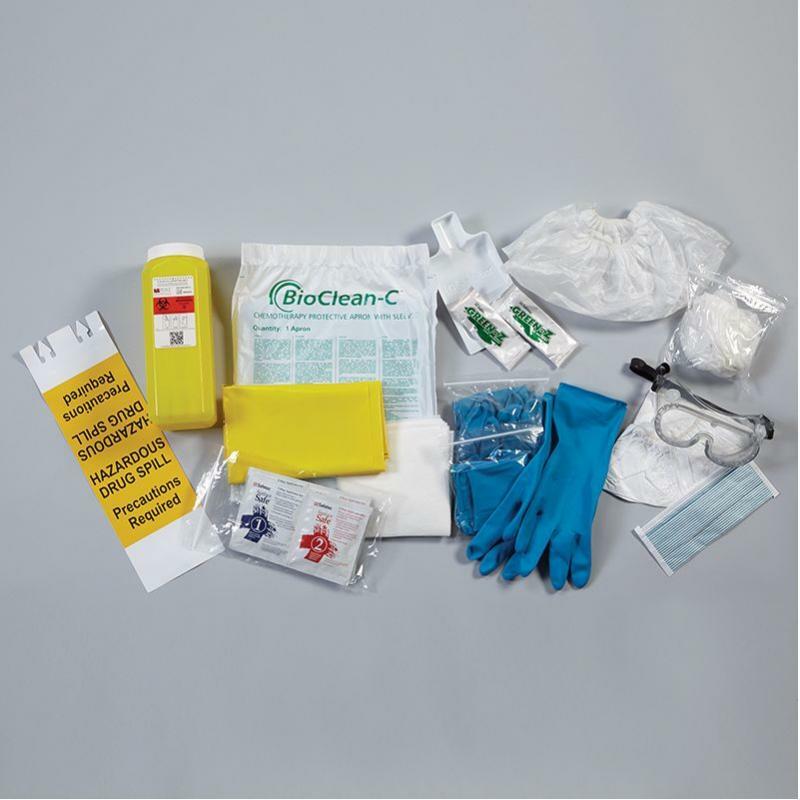 All in One – Comprehensive kit includes everything needed to ensure patient and employee safety when dealing with hazardous drug spills wherever they may occur. Each item inside the kit can be used to clean the HD spill, including kit packaging. Greater Compliance – Contents have been specifically chosen to align with spill kit criteria defined by USP <800>, which outlines standards for hazardous drug handling. Convenient – Contents are packaged in a Clear Chemo Transport Bag that is labelled with names, lot numbers and expiration dates of every item included.